Perth city’s closest caravan park is only a two-minute stroll from the scenic Swan River and is on a direct bus route to the centre of Perth. Book a cabin and take advantage of the free Airport Shuttle Service (7 am to 6 pm daily). 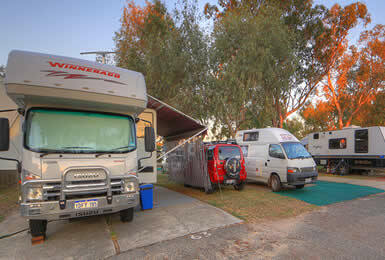 The Perth Central Caravan Park offers guests a tour booking service, some including pick up and drop off from reception. For more information and bookings, contact (08) 9277 1704. 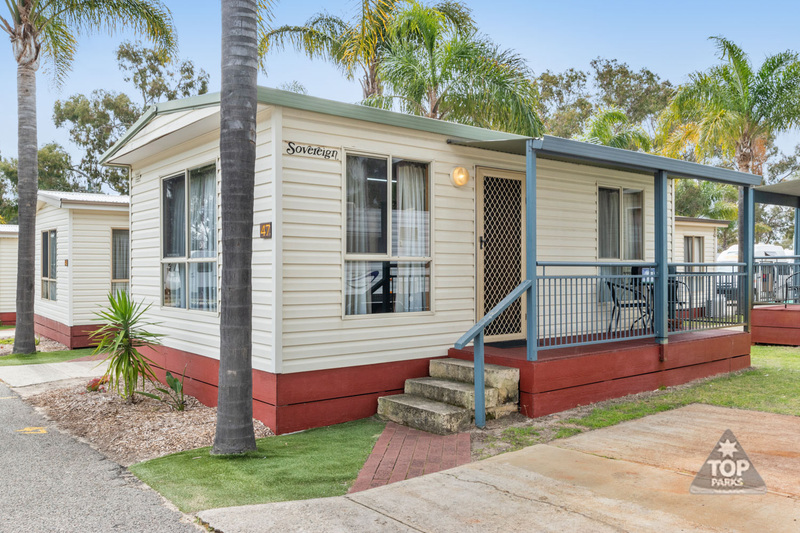 Only 7 km from the city centre, this modern, well-equipped Caravan Park offers the closest self-contained accommodation to domestic and international Airports and friendly staff who are keen to make your stay a great one. Perth Central Caravan Park is very close to most major motor-home depots which takes you right past the new Optus Stadium and then on to the City Centre. 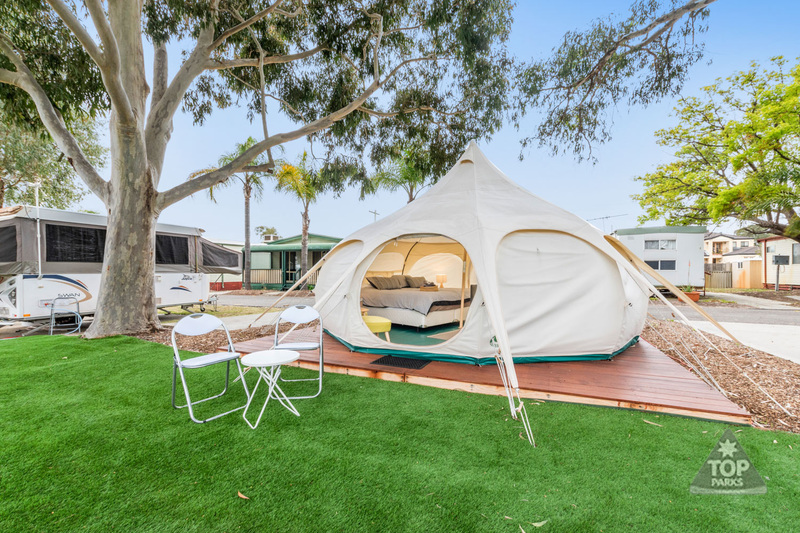 Located near the banks of the Swan River with scenic walkways and well-kept bike paths linking the city and river reserve, the Perth Central Caravan Park is an ideal location for those wanting to leave the car at home. On-site facilities include free WiFi, a swimming pool and deluxe camp kitchen with BBQs, fridge/freezer, microwave, stove top and oven. There’s also a laundromat with dryers and irons. An ATM is just 100 metres down the road, the nearest supermarket is 10 minutes’ away by car and there’s even a coffee machine in the office where you can get a quality caffeine hit for $1. Accommodates up to 4 people. If linen hire is required for sofa bed - an additional cost of $15 will be charged. Double bed in Bedroom. Sofa bed in living room (suits 2 small children or 1 adult). 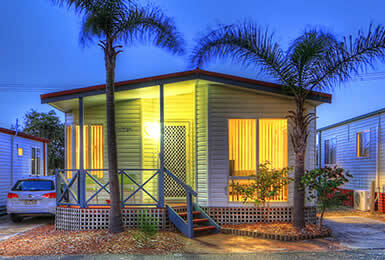 Full kitchen facilities including cooktop, oven, microwave, fridge/freezer & all cooking utensils. Dining room table with setting for 4 people. Comfy two-seater sofa (converts to a sofa bed). LCD TV/DVD and CD player. Reverse cycle air conditioning to keep you cool in summer and warm in winter. Free WiFi is available. Parking is right outside your front door. Accommodates 2 adults and up to 2 children in one tent. One king bed. 2 roll away beds. Comes with fridge/freezer & all cooking utensils. Dining room table with setting for 4 people. Comfy sitting area inside. LCD TV. Close proximity to camp kitchen, pool and other amenities. Free WiFi is available. Free parking right outside your tent. Linen, blankets and towels are included. Complimentary tea/coffee is provided. Large concrete powered sites. Fit up to 26ft / 9m in length. Tent, caravan, motorhome, all welcome! All sites close to ablutions & facilities. Chemical dump point available. Accommodates up to 5 people. King-size bed in one bedroom. Three single beds in 2nd bedroom. Full kitchen facilities including cooktop, oven, microwave, dishwasher, fridge/freezer and all cooking utensils. Dining room with setting for 6 people. LCD TV and DVD and 3 seater comfy couch and ottoman in living area. Bathroom with shower and full sized bath, basin and separate toilet. Reverse cycle air conditioning to keep you cool in summer and warm in winter. - Free WiFi is available. - Parking is right outside your front door. - Linen, blankets and towels are included. - Complimentary tea/coffee is also provided. Accommodates up to 5 people. King-size bed in one bedroom. Three single beds in 2nd bedroom. Full kitchen facilities including cooktop, oven, microwave, dishwasher, fridge/freezer and all cooking utensils. Dining room with setting for 6 people. LCD TV and DVD and 3 seater comfy couch and ottoman in living area. Bathroom with shower and full sized bath, basin and separate toilet. Reverse cycle air conditioning to keep you cool in summer and warm in winter. Accommodates up to 6 people in two bedrooms. Queen bed in one bedroom. Bunk singles in 2nd Bedroom. Fold out sofa bed in living room (suits 2 small children or 1 adult). Full kitchen facilities including cooktop, oven, microwave, fridge/freezer & all cooking utensils. Dining room table with setting for 6 people. Two comfy two-seater couches (one is a sofa bed). LCD TV / DVD and CD player. Bathroom with shower, full sized bath and a separate toilet. Reverse cycle air conditioning to keep you cool in summer and warm in winter. Free WiFi is available. Parking right outside your front door. Linen, blankets and towels for the queen room are included. Complimentary tea/coffee is provided. There is an extra linen charge for the sofa bed. POWERED SITES: Our cancellation policy is prior to 14 days a $15.00 booking fee applies between 14-7 days notice a 50% deposit refund less than 7 days notice prior to your arrival no deposit refund. No refund applies to early departure. CABINS AND TENTS: Our cancellation policy is prior to 14 days a $50 booking fee applies between 14-7 days notice a 50% deposit refund less than 7 days notice prior to your arrival no deposit refund. No refund applies to early departure. We require full payment to confirm your booking. We will contact you within 48 hours. Once payment has been paid your booking is confirmed. In our one and 2 bedroom cabins children are free up to a family of 4. 1 bedroom cabin: If the sofa bed needs to be used there is a linen charge of $15. Extra adults will pay an extra $15 per person per night linen free of charge. 2 bedroom cabin: Extra adults will pay an extra $15 per person per night and children will be charged an extra $10 per person per night. Linen free of charge. 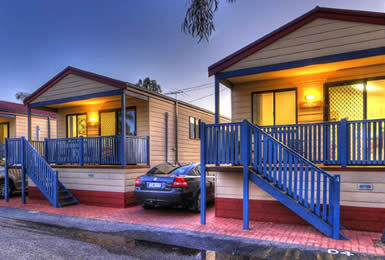 2 Bedroom cabin deluxe: Accommodates a family of 5 no extra charges. Powered sites: Prices are based on 2 people extra adults $15 per night and extra children $10 per night. Glamping Tents are for 2 adults (max) and up to 2 children.